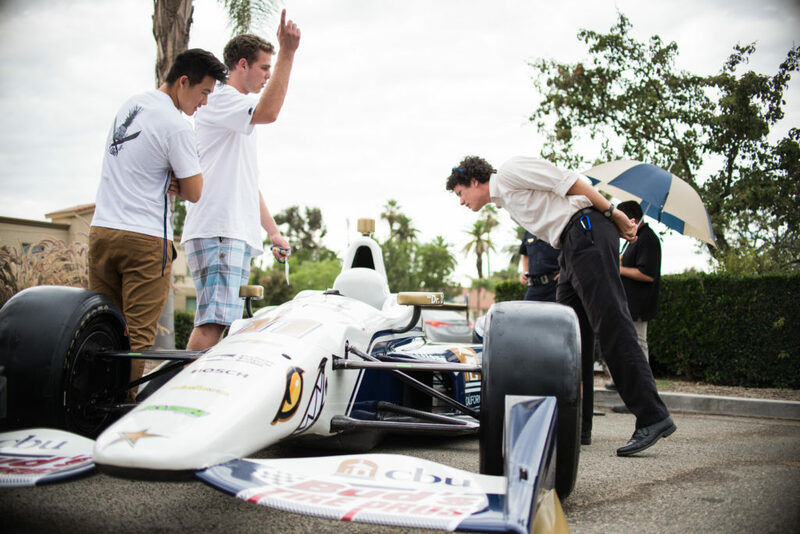 The Gordon and Jill Bourns College of Engineering at California Baptist University held an IndyCar Race Exhibition Sept. 20 as the second part of a three “lap” Auto Racing Initiative meant to encourage growth in science, technology, engineering and mathematics (STEM) education. 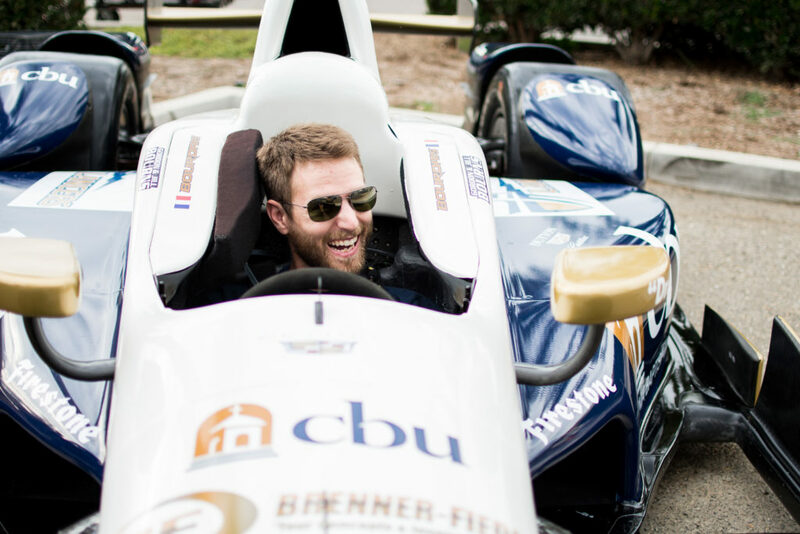 CBU had the opportunity to sponsor an IndyCar this year. The exhibition featured this car, allowing all CBU students and faculty an opportunity to view it. The exhibition also featured a STEM education exhibit, high speed racing presentations and multiple booths for clubs within the College of Engineering. Dr. Anthony Donaldson, engineering dean, spoke of the event as an enhanced learning experience. 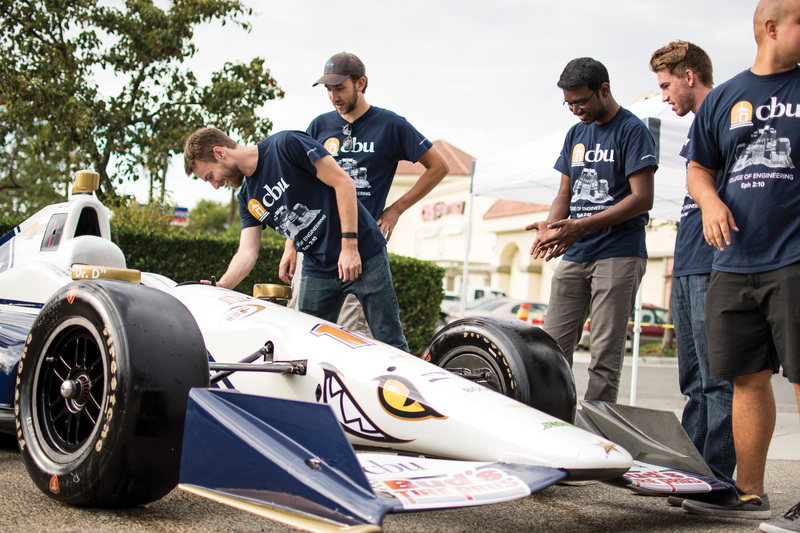 The IndyCar event was an intersection of nearly all of the programs within the College of Engineering, as race cars themselves are a collection of engineering disciplines. Jacob Leonard, freshman engineering major, said he learned the most from the Race Experience presentation. David Mora, freshman mechanical engineering major, said he enjoyed getting an up-close look at a real race car. “The best part of the event for me was seeing a beautiful, slick Indy car interior and exterior,” Mora said. Several sponsors helped put together the Automotive Racing Initiative in conjunction with the College of Engineering. The hope for this initiative is not only to encourage and engage current students, but to also spread the interest in STEM education to prospective students, as well. “We envisioned this not only for our students but to also reach out to the community,” Donaldson said. More than 200 high school students attended the event and toured the Engineering Building, accomplishing the goal of attracting potential students.